The skin on the face is very delicate and sensitive. Injuries, traumas and diseases can leave disfiguring scars on the facial skin which can drastically affect the psychological wellbeing of a person too. Nobody wants to live with facial scars but the awareness about scar removal technologies and treatments is very less in general public. Despite the availability of some of the best face scars treatment in Mumbai, people don’t know where to go and which dermatologist to choose for the same. A facial scar is something that most of us have to deal with at some point or the other in life. Due to injuries, acne or even from some other complication, a facial scar is not a welcome thing. 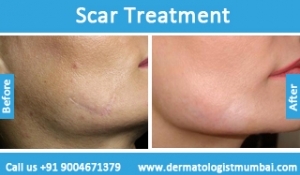 With latest technology and resources available for face scar treatment, removal of a facial scar has become very much possible in the present times though. To begin, with we need to understand that there are two basic facial scar types. One is a flat scar while the other is raised. 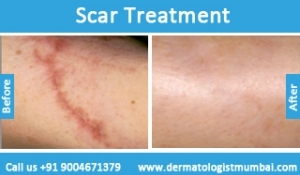 Depending on the source or reason for the same, the face scar treatment in Mumbai varies. 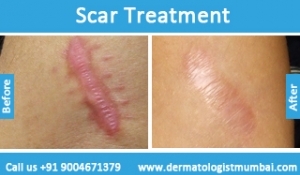 The first treatment for a facial scar called for application of a skin serum or silicone gel that is laced with antioxidants and essentials for skin scar healing. Your doctor will best know the way to take with these treatments. However, there is a high chance of success of permanent scar removal with this course of treatment. 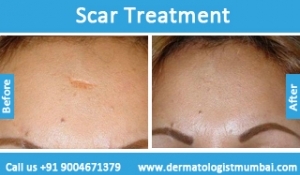 Scar flattening involves application of a silicone sheet for a certain period of time over an extended period, of say, three months. 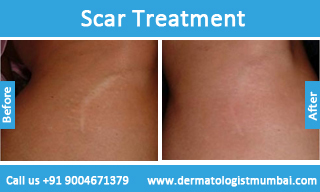 This means that any raised scar can be flattened automatically without any interventional processes. Laser treatments for face scare treatment are advised within the scars are indented. This could also involve grading, filling or both, in addition to laser. A wide variety of surgical and non-invasive face scar treatments are available in the market. Depending on the severity of scar, consequential effects on the muscle functioning and other health factors of the patients, a dermatologist can recommend the appropriate treatment. The skin type, skin colour, age and healing rate of the patient also affect the choice of treatment. 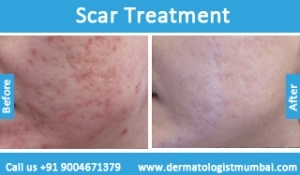 Dr. Rinky Kapoor specializes in face scars treatment and offers extensively designed treatment options compatible with your skin type and scar conditions.